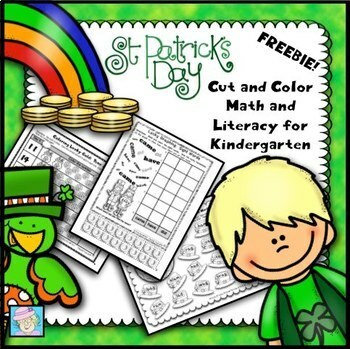 St. Patrick’s Day Math and Literacy Worksheets Kindergarten No Prep FREE! This set contains 10 pages of math and literacy practice in a color or cut-and-glue format. They cover addition, place value, short vowel word families, sight words, and more! For more St. Patrick’s Day fun . . .